This league was founded in 1978 by Jim Roberts who at the time was Junior Organiser at North Middlesex Golf Club. He was worried that talented youngsters were being denied the opportunity to develop their game through outside competition. A total of 8 local clubs were invited compete in a matchplay competition for a cup that was donated by a member of North Middlesex G.C. The following year the first competition was held with North Middlesex becoming the first champions. Over the years, membership of the league has risen to as many as 26 with a total of 31 different clubs having taken part at one time or another. Jim died in 2000 aged 84 and since that time the league has continued under the chairmanship of Marylyn FULLER. The league is open to any club in Middlesex who wish to apply to join. The present format is that the clubs are divided into two leagues. The clubs in the mini leagues play each other home and away with points being awarded for a win or a halved match. The winners of each mini league compete in a final and the runners up in a 3rd/4th place final on neutral courses resulting in the Middlesex Friern Junior League Champion being decided. 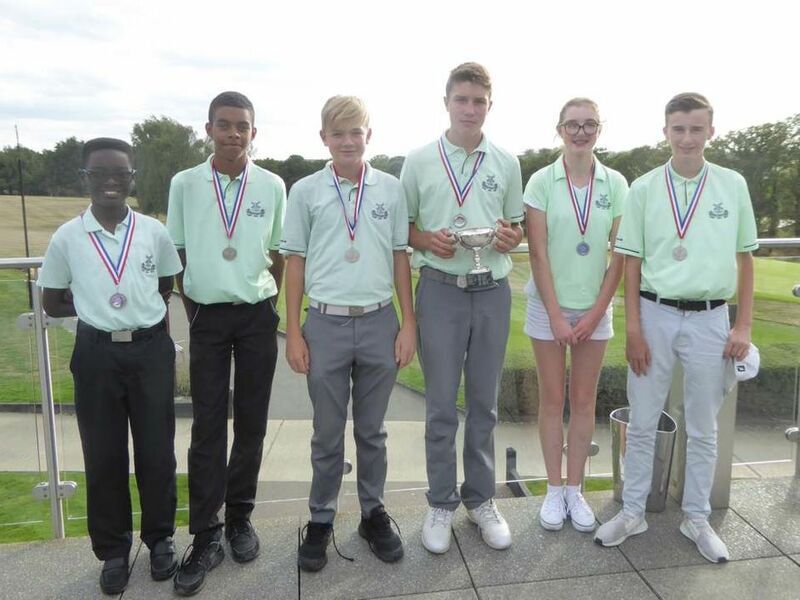 The winner, runner up and 3rd place finalists then proceed to the regional finals of the Junior Team Golf Competition and if successful, can progress to the National Final and possibly the Home Countries Final in Spain. The League is open to male and female golfers under the age of 18 on the 1st of January of the current year and with maximum handicaps of 36. In the years 2003, 2004 and 2017 teams from the League were placed 3rd, 3rd and 5th respectively in the English National Final. A further trophy competed for on an annual basis is the Jim Roberts Millennium Trophy. This commenced in 2000 in memory of Jim and involves teams of 3 juniors and an adult playing stableford. The competition is open to all clubs in Middlesex.The venue rotates each year and the competition begins with a shotgun start wherever possible. Further information may be obtained from Marylyn FULLER on 020-8954-6971 or by e-mail to ecdfuller@hotmail.com.